1490 @markdeheide Playing Computer Games, are Virtual Achievements fulfilling? 2349 @shadowbot Happy 10th Birthday Bitcoin! Special Bonus 1+ Shadow Rank! 2359 @bigdeej 10 Years Ago Satoshi Released The Bitcoin Whitepaper! 82 @tarekadam Delegate 10.000 STEEM POWER to Venezuelan curator for two weeks. 101 @darklands Quest post week Ten: pumpkin man? 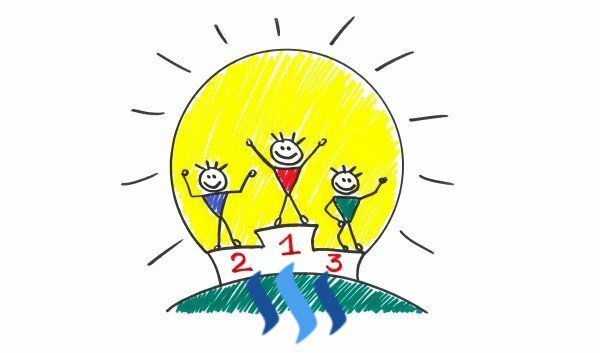 Your UA account score is currently 7.766 which ranks you at #41 across all Steem accounts. In our last Algorithmic Curation Round, consisting of 236 contributions, your post is ranked at #115.